Join us at the Surf & Sand Playhouse as a group of young apprentices dedicated to mounting an original show try to stay one step ahead of the surly theater owner. An ex-child star, her overbearing mother, and a hack southern playwright provide further complications, but of course, the show must go on. Welcome to an evening of romance, reconciliation, and comeuppance! 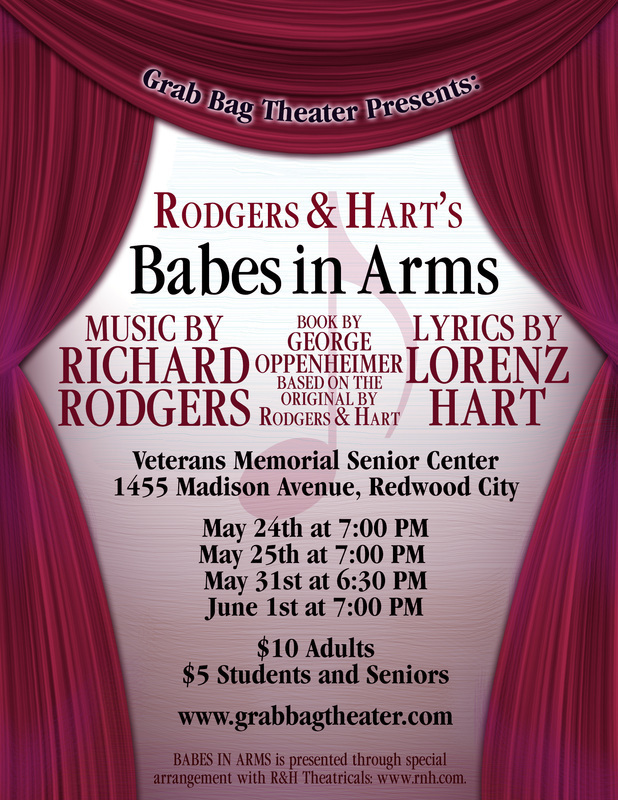 BABES IN ARMS is presented through special arrangement with R & H Theatricals.